Guests to the first event will not only be able to enjoy a full course meal but also be treated to a live performance by members of the Latin band Havana Social Club, accompanied by professional dancers Miki Hasebe and Orlando Sotolongo, giving this event the perfect touch of summer sophistication. 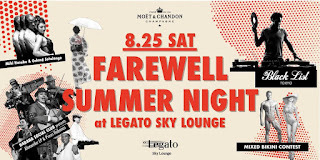 After the sun sets over the picturesque Tokyo skyline, Black List's most popular DJs will come out to bring you the hottest music for the perfect summer's end. 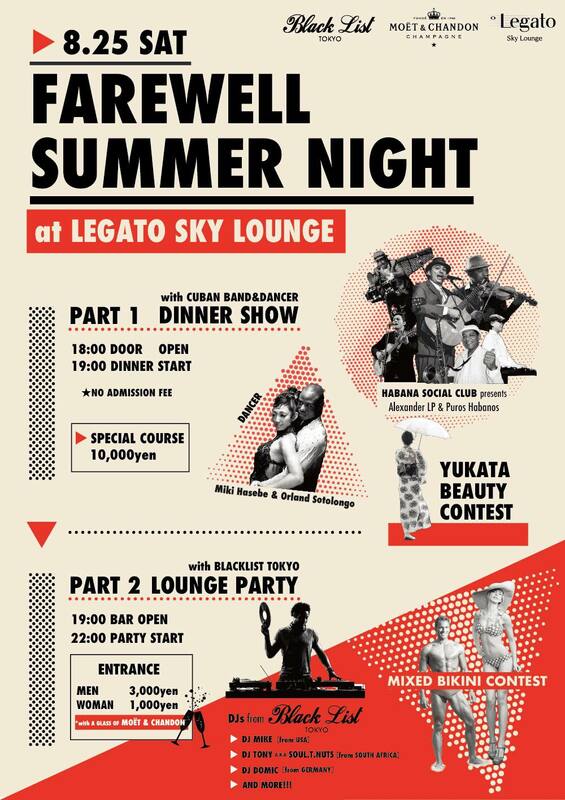 The lounge party will also have a yukata contest as well as a bikini contest where the winners will receive 4 double bottles of Moet & Chandon as well as other fabulous prizes. 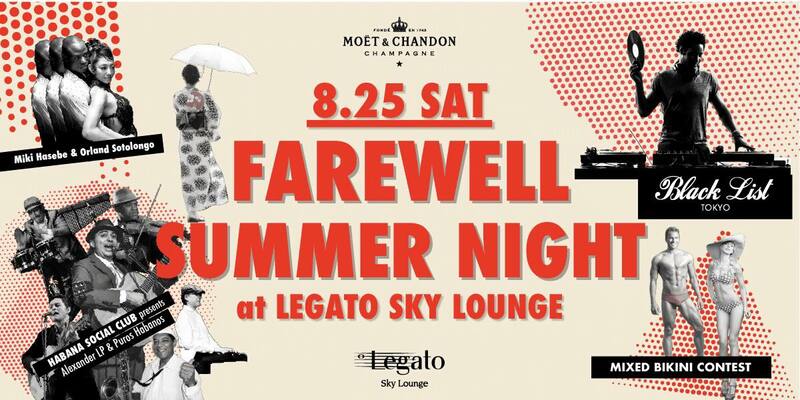 We can't wait to see you at Legato Sky Lounge for our end-of-summer party! Lounge Party: Bar opens at 19:00, Party starts at 22:00.